The New Face of HSN is the exciting relaunch of HSN.com: a brand new design that is visually appealing and social media friendly. They also have an awesome new iPad app that makes it easier and more fun to shop. HSN has a wonderful variety of fashion, beauty, electronics, and home goods. They even carry some of your favorite brands and designers, like DKNY Jeans, Jessica Simpson, Apple, Benefit Cosmetics, Lancome, and more! 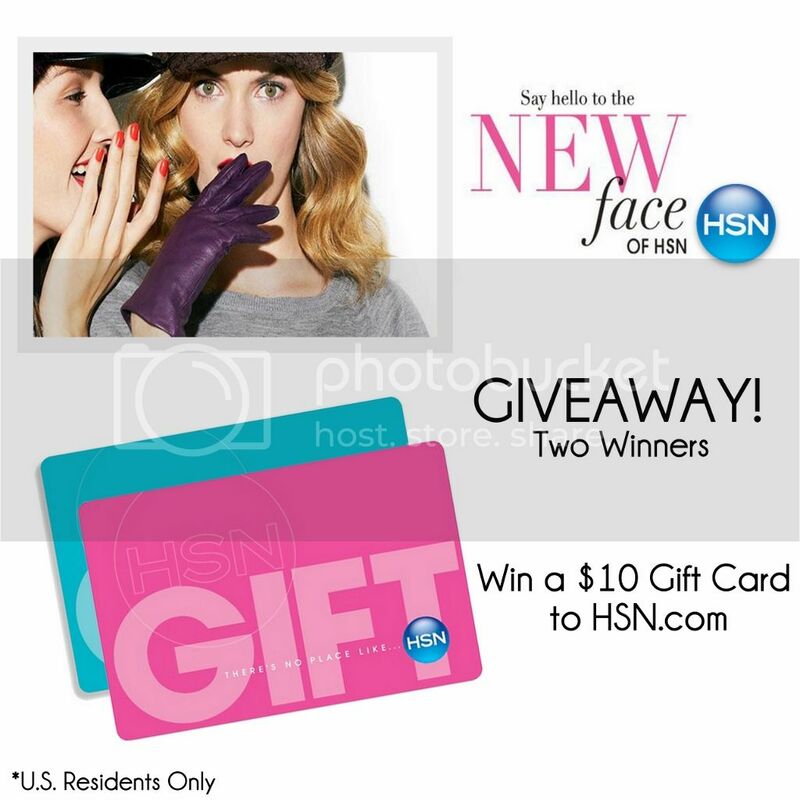 HSN is generously offering two (2) $10 gift cards to a couple of my lovely readers! You can use it towards anything on their website. Please enter using the Rafflecopter widget below. Giveaway is open to U.S. residents only. Winner will be chosen at random, notified by e-mail, and announced in this post. Entries that don't meet the requirements/follow directions will be disqualified. Don't forget to check out their weekly sweepstakes, where you can win thousands of dollars worth of prizes! Good luck everyone!